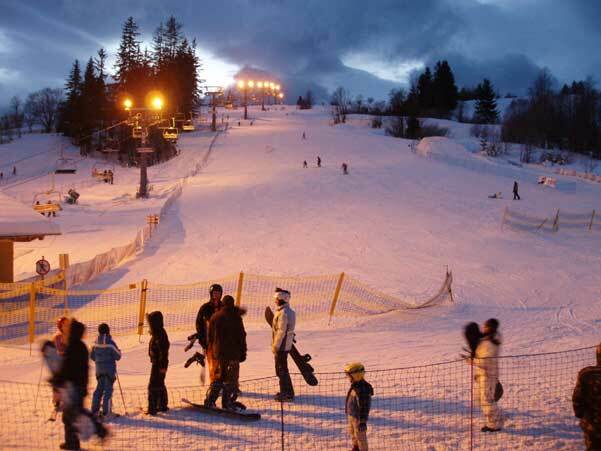 Zakopane offers skiing and snowboarding between the hours of 8am – 9/10pm daily for prices around 50% cheaper than larger European resorts. 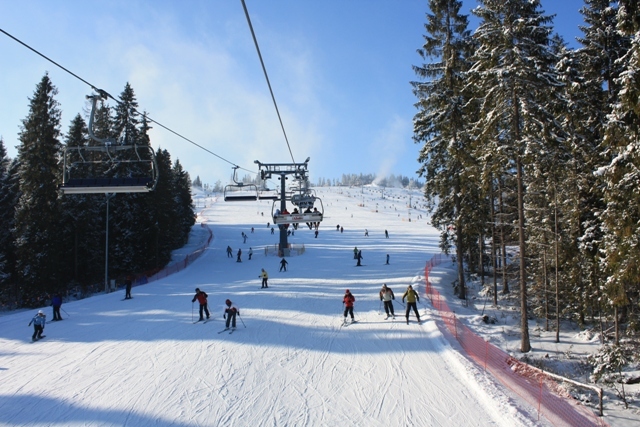 Unlike some larger ski resorts around the world, where you can ski for days on end in the same area, the skiing in Zakopane is divided between individual ski areas. This does not take away from the variety and quality of slopes available. 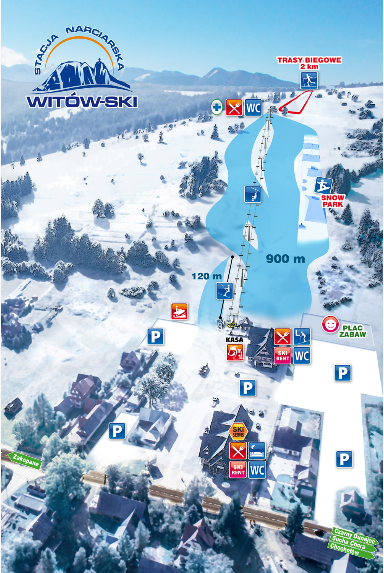 We will try our best to show you a selection of the slopes available during your ski or snowboard holiday in Poland and be as flexible as we can in order to hit the right ski areas as the right time. 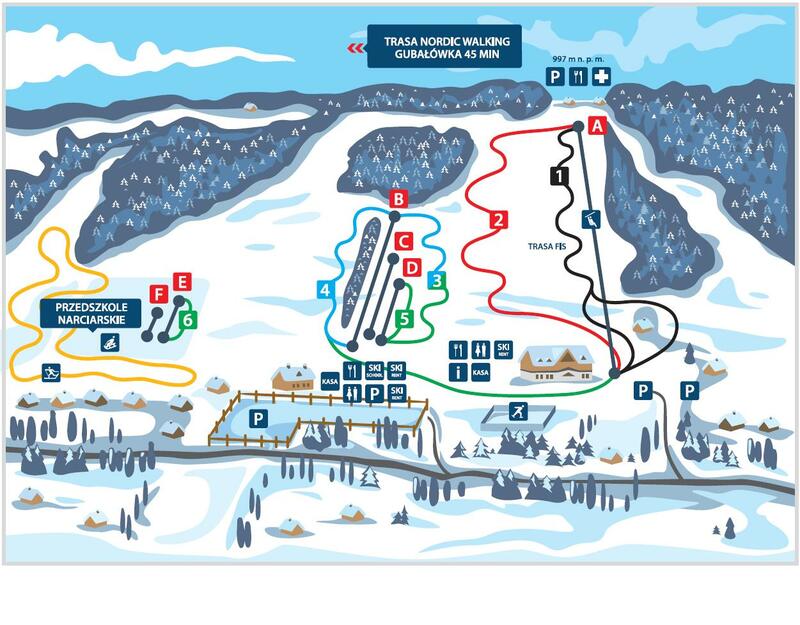 The individual ski areas vary hugely, from small drag lifts in the centre of town, to larger ski areas offering eight chair lifts and six drag lifts. 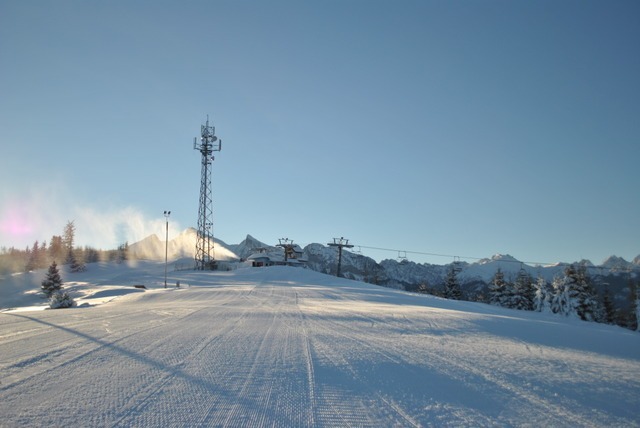 There is also the fantastic skiing available on top of Kasprowy Wierch, high up in the Tatra Mountains, served by chair lifts covering the two valleys either side of the peak. 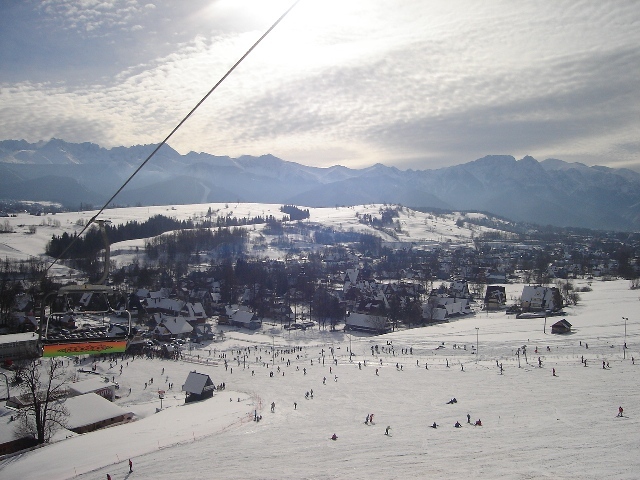 If you wish to learn more about some of the ski areas that White Side Holidays Poland use in Zakopane then follow the links below for more info on each of these areas. 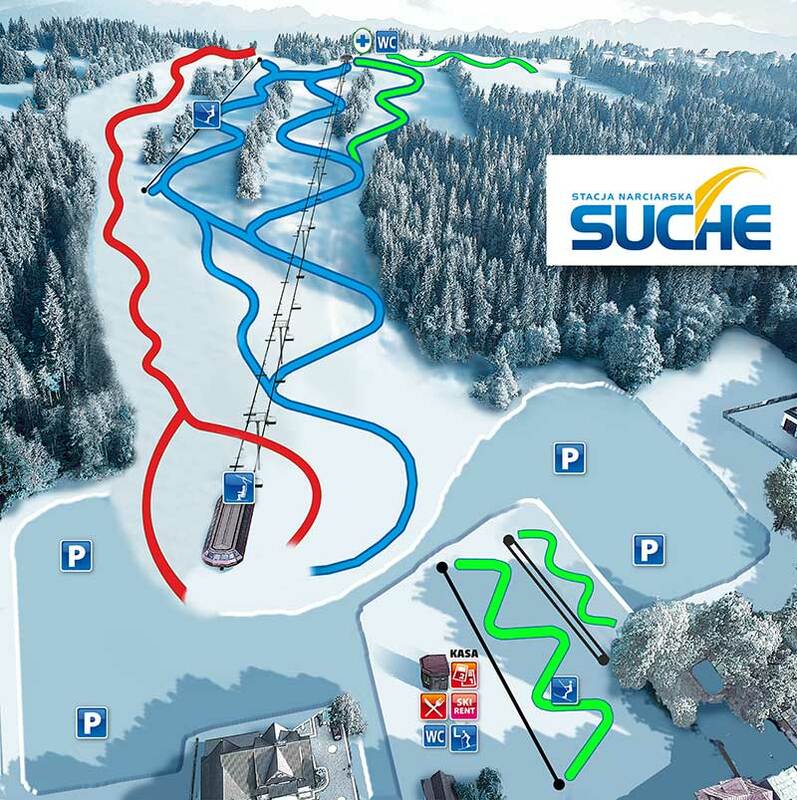 The gallery at the bottom of the page has a ski area piste map for each of the places listed below. 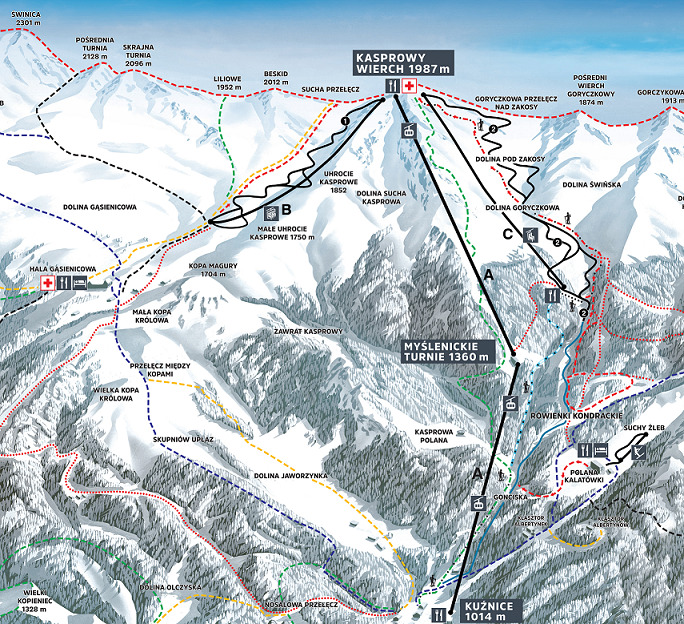 Alternatively if you wish to discuss the skiing and snowboarding in Zakopane or how we rotate between these ski areas during a ski holiday then we are happy to answer any questions you may have. Please feel free to contact us. 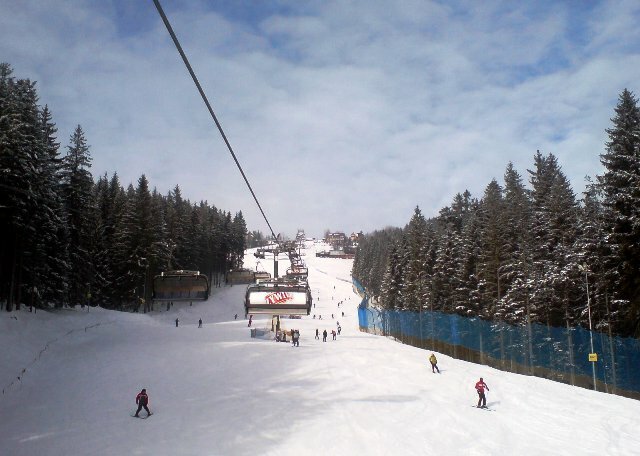 The best skiing in Zakopane. 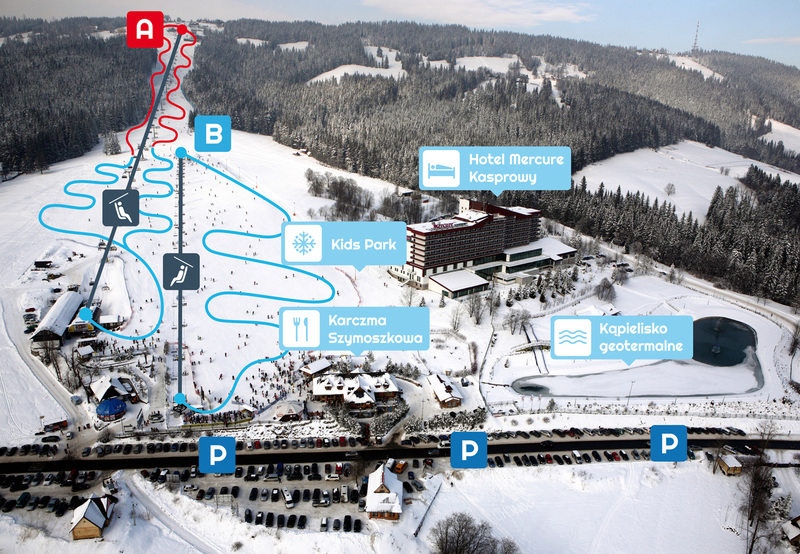 5 minutes from Zakopane centre. Brand new Cable Car in 2008. 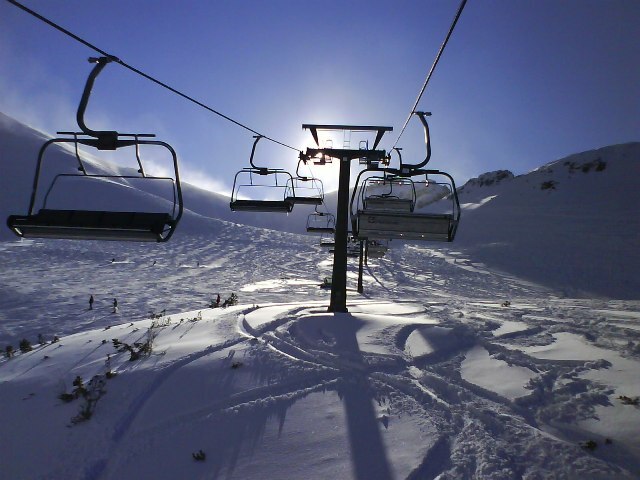 New chair lifts in 2014, 2015 & 2016! Snow Park and snow tubing. Bars, restaurants and games room. 40 minutes from Zakopane centre. 6 and 4 man chair lifts. Fun snow play area for kids. Beautiful views the Tatra Mountains. New Wireless Pass System in 2016. Kids play & ski area. 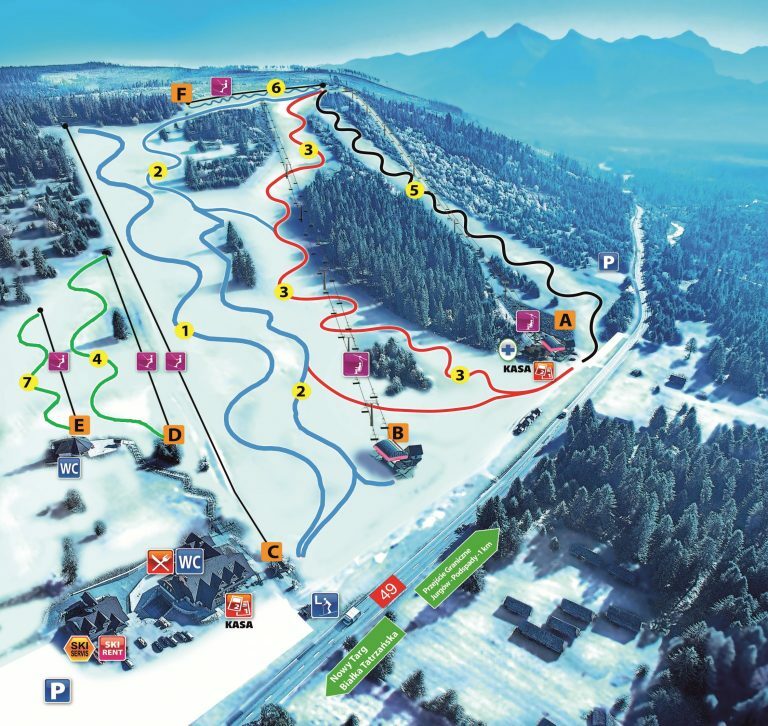 Biggest snow park in Poland. 25 minutes from Zakopane centre.